Recently a woman who had advanced breast cancer had her cancer cleared by a form of therapy that utilized her own immune cells to tackle the malignant tumors growing in her body. The treatment has been called “groundbreaking”, as it marks the first time that a patient with advanced breast cancer has been successfully treated with a unique form of immunotherapy that sends a patient’s own immune cells after the cancerous cells. The woman recently cleared of breast cancer is Judy Perkins, an engineer from Florida. Perkins was given three years to live by doctors when she was selected to undergo an experimental therapy when her tumors proved unresponsive to chemotherapy. According to doctors at the US National Cancer Institute in Maryland who have been following Perkins’ case, the therapy was so successful that Perkins has been diagnosed as cancer free for the past two years. 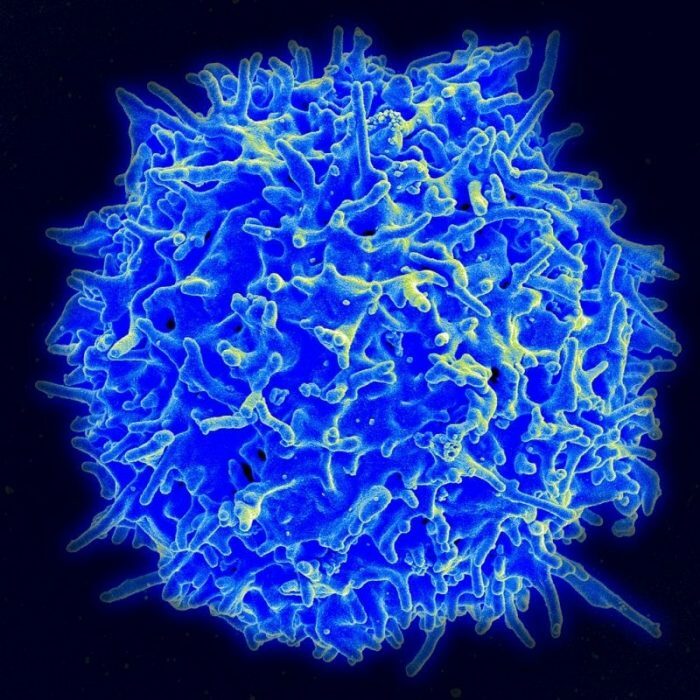 The new form of therapy is a type of immunotherapy utilizing T-cells. 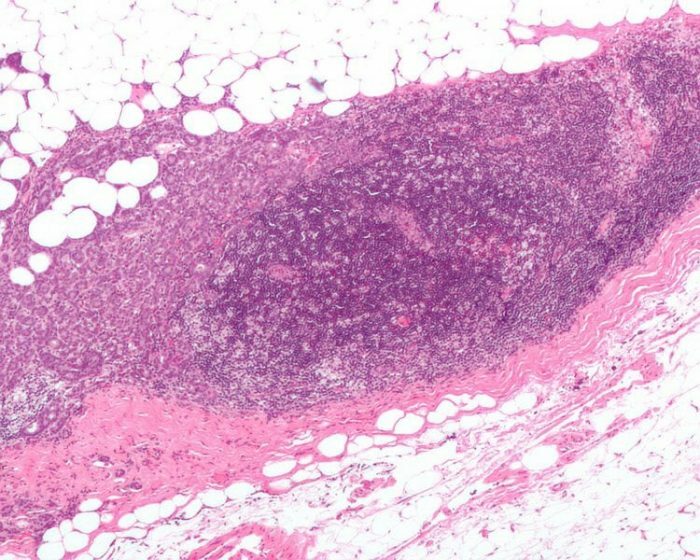 Researchers first took samples of the targeted tumors and studied the DNA of the cancerous cells to find occurrences of mutations that were unique to her cancer. The researchers found mutations which were responsible for disrupting four genes and producing many abnormal proteins. The researchers then isolated immune cells dubbed tumour infiltrating lymphocytes (TILS) from the tumor samples. TILS are specific kinds of immune cells, those which have infiltrated the tumor in an attempt to destroy the tumor but are either too few or too weak to successfully kill the tumor off. The researchers encouraged the growth of the immune cells in the lab and analyzed the lab-grown cells to determine which cells would be the most effective at neutralizing the cancer cells in Perkins’ body. The TILS track cancerous cells by picking up on the abnormal proteins cancerous cells have. Doctors then treated Perkin’s tumors by injecting around 80 billion of the lab-grown immune cells into her body. The immune cell therapy was supplemented with a drug called pembrolizumab, which facilitates the ability of the immune system to track and attack cancerous cells. Perkins was monitored after the therapy, and a test conducted 42 weeks after the therapy showed that Perkins was free of her cancer. Perkins’ cancer has been in remission ever since. It’s unknown exactly how much of Perkins’ recovery was due to the application of the lab-grown immune cells, as the response could have been due to the pembrolizumab or other factors not yet apparent. However, pembrolizumab by itself has traditionally been rather ineffective at treating advanced cases of breast cancer. Furthermore, the infusion of T-cells were still detected in Perkins’ system for 17 months after treatment started. These factors do seem to suggest that the infusion of T-cells had something to do with Perkins’ recovery. Traditionally, the more mutations that cancer cells have, the easier the immune cells of the body can track and combat them. Cancers like ovarian cancer, prostate cancer, and breast cancer are difficult for the body to respond to because they have few mutations, thus making it more difficult for the body to detect the cancerous cells amid the healthy cells. This fact makes the new T-cell treatment even more impressive. The impressive success that the therapy had on Perkins’ tumors has given both researchers and other cancer patients hope that the therapy may be used to treat other patients with advanced breast cancer or other forms of hard to treat cancer. In response to the success of the treatment, researchers are gearing up for a full-scale clinical trial that will provide valuable data on the efficacy and effectiveness of the treatment. Professor of translational immunotherapy at London’s Institute of Cancer Research, Alan Melcher, wasn’t involved in the study but spoke about the study’s importance. Melcher explains that the new study demonstrates that even difficult to treat cancers like breast cancer, can be treated with the new technique. Melcher says that the new therapy should be applicable to many different kinds of tumors, and it may even prove effective in cancers were immunotherapy hasn’t worked well in the past. However, experts warn that we shouldn’t invest ourselves too heavily into the new T-cell treatment right now. After all, the technique has only proven effective in one isolated case, and larger clinical trials will be needed to determine if the therapy has applicability for a larger population. Researchers also caution that although the treatment could, in principle, be applied to many different forms of cancer, its unlikely to show the same level of effectiveness in everyone. Furthermore, Melcher says that currently, the treatment is expensive and complex. These issues will likely be solved as technology improves and techniques are refined, but the therapy also relies on doctors being able to extract enough TILS in a patient’s tumor to make the treatment work. A problem with other TIL based therapies is that they frequently aren’t able to isolate enough T-cells in patients because there aren’t that many in the tumors to begin with. Simon Vincent, director of research at the research group Breast Cancer Now, echoed these sentiments and urged caution. Vincent explained that we’ll want to see evidence that the effect can be replicated in other patients before sounding off about a new immunotherapy for the as-of-yet incurable metastatic breast cancer. This is another piece of evidence confirming that some cancers are recognisable by the body’s immune system and that if this can be stimulated in the right way, even cancers that have spread to different parts of the body may be treatable. Perkins’ case isn’t the only recent breakthrough involving immune cells. Recently a 78 year-old patient was diagnosed cancer free from advanced chronic lymphocytic leukemia after researchers at the University of Pennsylvania figured how to improve upon Chimeric antigen receptor (CAR) T-cell therapy. 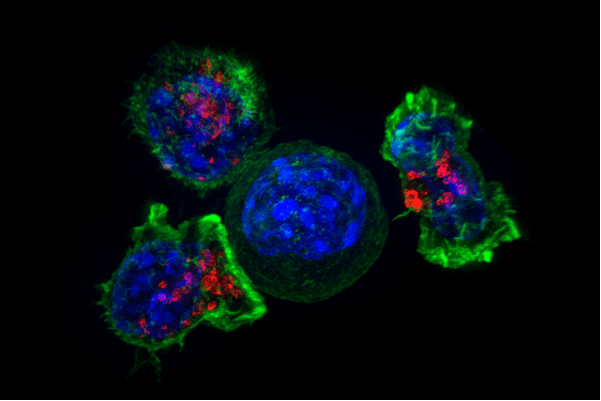 CAR T-Cell therapy functions similarly to the technique used on Perkins’ tumors. The patients own T-cells are removed, modified to target cancerous cells, grown in a lab, then injected back into the bloodstream of the patient. Thanks to a natural mutation in one copy of the patient’s chromosomes, the study authors were able to determine the minimum dose needed for CAR T-Cells to be effective at combating cancerous cells.